At 5.00p.m. 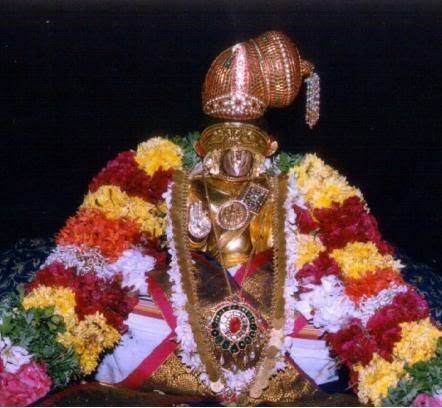 on 19/12/2014 Ubha Ve Adoor Asuri, Madhavachariar swami enlightened the gathering at Sathajith Bhavanam Srirangam about the 4th Tiruppavai pasuram ” Aazhi mazhai Kanna”. 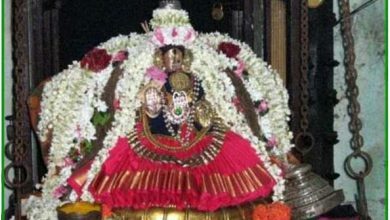 In this pasuram Antaryami roopam of Perumal is referred to. Antaryami refers to the thumb sized form of Sriman Narayana residing in each of us. 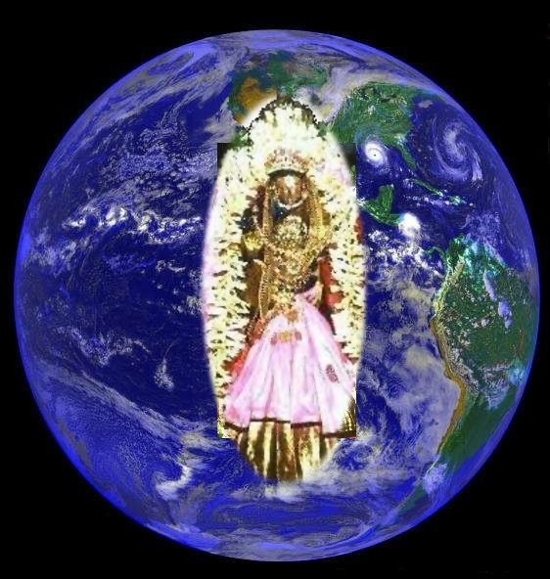 Andal uses Padmnabha who resides in our hearts. He resides inside Varuna the rain god to whom this pasuram is addressed. Oh Kanna She says make Varuna pour rain on earth so that oceans fill up, evaporate to form dark rain bearing clouds. The black clouds are like the colour of Mudalvan (The First Primordial ) who rains grace impartially on all. The lightning shines like His Sudarshana and the thunder resembles the sound of His conch. Accompanied by light and sound Andal asks that rain should emerge forth like the arrows of Sarngam. The acharyan teaches every shishyan impartially. He may test a student before admission but once admitted gnanam is given to all. An acharyan’s voice is loud and clear like thunder. 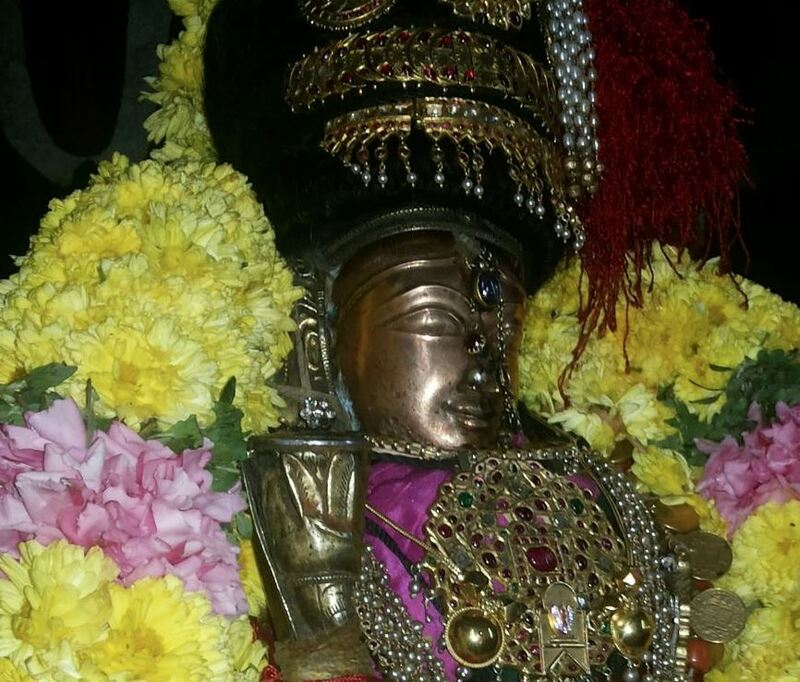 Thaniyan anusandhanam is the roar referred to. He takes the ashrayam of the divyadampathis and imparts true gnanam. Mantrams and mantarthams are taught to all seekers. Andal invites Her friends to take bath in the rain -filled waters in rivers and worship Him in the wee hours of Margazhi morning. Swami then procceeded to explain patiently and entusiastically the first verse of Tirunedunthandakam. Sastras help us to understand the difference between shariram, atma and paramatma. First step is to understand shariram. Our body is visible to us. It is pratyaksham. But it is not permanent. .Bodies differ in size,shape and form and is determined by Ione’s karma. Some get thiryak shariram, some deva shariram and some manushya shariram depending on his karma. Shariram is like lightning, it is fleeting and temporary. It goes through the stages of Vriddhi, grasam and nasham(growth, change and decay). Shariram differs from birth to birth. Though shariram has doshams(defects), manushya shariram gives a chance to progress spiritually. Vivekam(discerning ability) helps us to understand right from wrong. The thinking power helps man to ponder as to why this shariram has been given to him. He can seek an acharya and opt for sharanagathi at the end of his life and reach moksham. Once the nature of shariram is understood the desire to give too much importance to it will go.The realization that we are not independent and are subservient to Sriman Narayana will clear our misconceptions. The Vedas are countless but have been condensed to 4 categories by Veda Vysa. 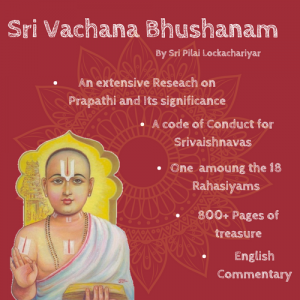 They are the very breath of Sriman Narayana, the wealth of Brahmins, they reveal the nature of jeevatma. Though some say that the body and atma are the same, others say that the mind is atma. 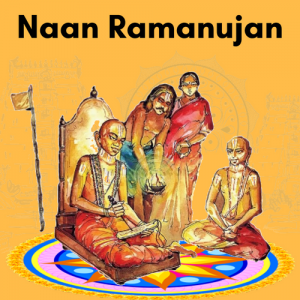 Ramanuja refutes these statements by saying that gnanam is an adjective which qualifies so atma itself cannot be gnanam. Vedas ask you to look at atma and atmanubhavam is joyful but it makes you so involved that one becomes oblivious of what is happening around. As a result he experiences kaivalyanubhavam and misses the actual nectar Paramatmanubhavam .